NOTE: THIS SOFTWARE PROVIDES ACCESS TO THE UPDATED SERVICE PROCEDURES DATABASE. THIS IS NOT A PDF. Authorized source of OEM repair and service manual data for the BMW X5! This software allows you to access the most up to date service information for your 2005 BMW X5. It works on any Windows computer and contains data licensed directly from the vehicle manufacturer. If you need a BMW X5 service manual, this is your best option. You can download and use it right away to get the service information you need for your X5. It covers all the most common problems including brakes, suspension, steering, drive train, outer engine, air conditioning, heat, and more. It will help you diagnose and troubleshoot the problem and then repair it yourself, avoiding an expensive trip to the mechanic. You will get repair steps, illustrations and diagrams, troubleshooting symptoms, diagnostic trouble codes, safety precautions, parts lookup, and other information needed to service your 2005 X5. This software is very easy to use, even if you are not experienced with computers. 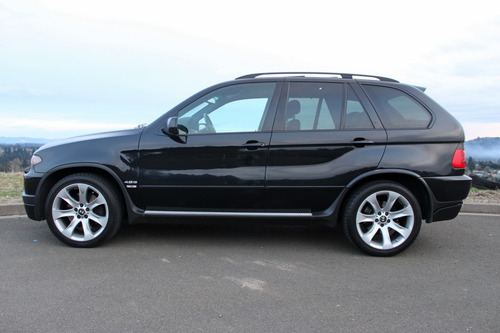 The only requirements are Windows and an internet connection to access the most up to date service procedures for your BMW X5. Purchase includes one-year access to all updated information. - EASY TO FOLLOW INSTRUCTIONS ARE INCLUDED IN YOUR DOWNLOAD. WHEN PROMPTED FOR YOUR SERIAL KEY, PLEASE USE THE EMAIL ADDRESS YOU PROVIDED TRADEBIT WHEN MAKING YOUR PURCHASE. This file is sold by hoare85, an independent seller on Tradebit.